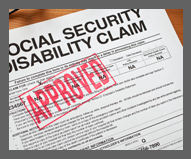 Have you considered applying for Social Security disability in the past, yet refrained from doing so because you don’t believe you have a real claim? Lots of people each day are denied of Social Security disability benefits for a myriad of reasons, ranging from their applications aren’t complete to filing for a disability that isn’t covered under Social Security disability. Before you spend hours filling out your application, it’s important to know the questions that the person reviewing your application will need answered in order to determine whether or not you should apply for Social Security disability. The best way to go about this is by contacting a disability lawyer who will know quickly whether you will be approved or not, but there are also other ways to determine whether you’re eligible without applying. If you’re curious as to whether you should apply for Social Security disability or not, ask yourself the following questions, just as the reviewer would when reviewing your application. Before even getting into the facts of your case, the person who is reviewing your claim will look to see if you’re currently working, if so how much you are currently working. There are limits as to how much a person applying for Social Security disability can make, because if that limit is exceeded the reviewer will assume that the claimant is suitable for working and not in need of disability. That salary limit is called the substantial gainful activity, often abbreviated as SGA. In 2013, the SGA has been set at $1,740 for blind applicants and $1,040 for people applying with other types of disabilities. If you currently make more than that set number per month, you are likely not eligible for Social Security disability, although you should still consult with a disability attorney in order to see if you are. How Severe is Your Disability? After determining whether or not you’re currently working, the person reviewing your application will review how severe your disability is. If you have some sort of disability that renders you unable to do your job when not on medication, but you are perfectly able to work after you take medication, the case reviewer might not grant you your claim, as they see you fit to work. If the Social Security disability reviewer does in fact determine your disability severe enough to grant a work stoppage, he or she will move on to the next part of the review. Is Your Condition a Disability Listing Case? If by reviewing your medical records, the reviewer determines your case to be severe enough to warrant Social Security disability, that claim reviewer will match your disability with an official Social Security disability listing, and award you the claim that you applied for. Once you’ve been approved for Social Security disability, the claim reviewer will send your file to be processed through other Social Security offices, and you will soon be notified of the decision.